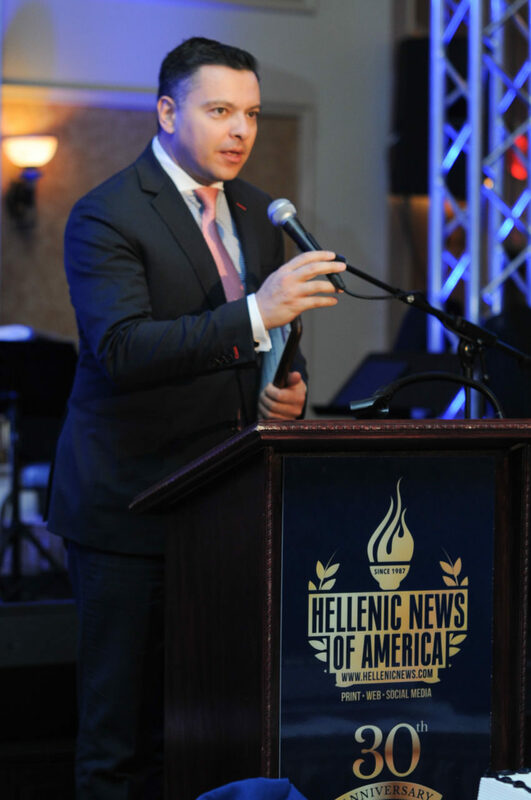 As the Hellenic News of America works to unite the Greek diaspora in America, individual Greek Americans and supporters credit the paper and the efforts of founder Paul Kotrotsios with helping them spread the word about their business, their cause and their mission. 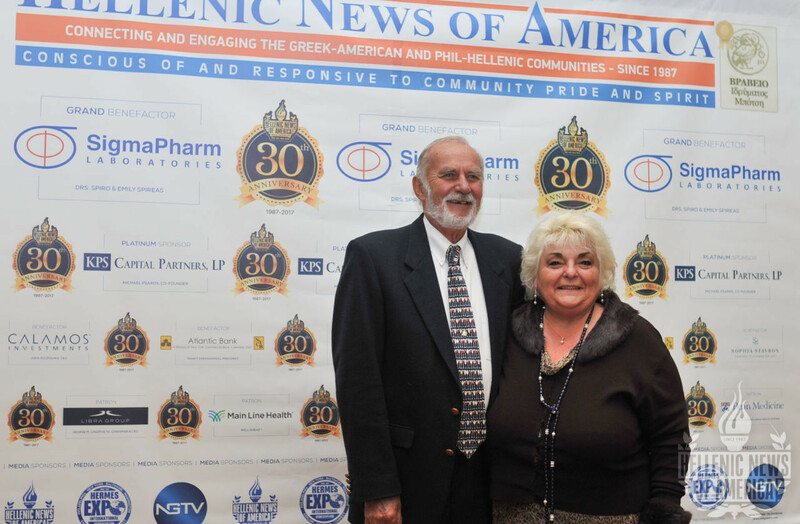 Guests and honorees at a 30th anniversary gala Nov. 12 reflected on how the Hellenic News of America has helped them through the years. 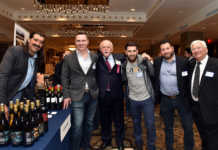 Peter Georgiou, owner of Argo Packing and Shipping in Brooklyn, New York, says the newspaper is the best way to target his business to Greeks. “I’ve advertised with his newspaper a long, long time,” Georgiou says. “We meet a lot of people with the business,” he said. Argo Packing and Shipping began in 1965 to help the Greek population living in the United State ship or import their personal belongings to and from Greece. The company, run by Georgiou, with help from his wife Marina and his daughters, now handles olive oil imports from Greece and shipping assignments all over the world. They can handle anything from small boxes to vehicles and boats. Georgiou says most of his clients are Greek or Greek Americans in the US, which makes the Hellenic News of America a valuable partner. 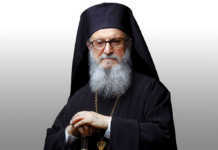 He and his family attended the gala to show their support for the newspaper and the Kotrotsios family. 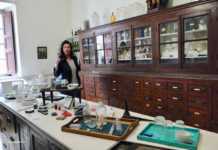 “We’re just happy to have the support of Mr. Kotrotsios and the support of our customers,” says Marina Georgiou. Businesses aren’t the only ones helped by the newspaper’s reach. When disasters strike in Greece or the United States, the Hellenic News of America can help rally support. 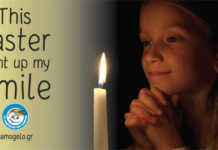 Louis A. Zagami is the development officer for International Orthodox Christian Charities in Baltimore, MD. His organization provides humanitarian aid and disaster relief. “We want to thank Paul and the newspaper for all of the work that they’ve done to help us promote all of our important work,” he says. Crews are on the ground right now providing hurricane relief in Texas and Florida, as well as ongoing relief in Greece. The IOCC help ranges from emotional and spiritual help for survivors and first responders to cleanup, needs assessment, supplies and rebuilding. 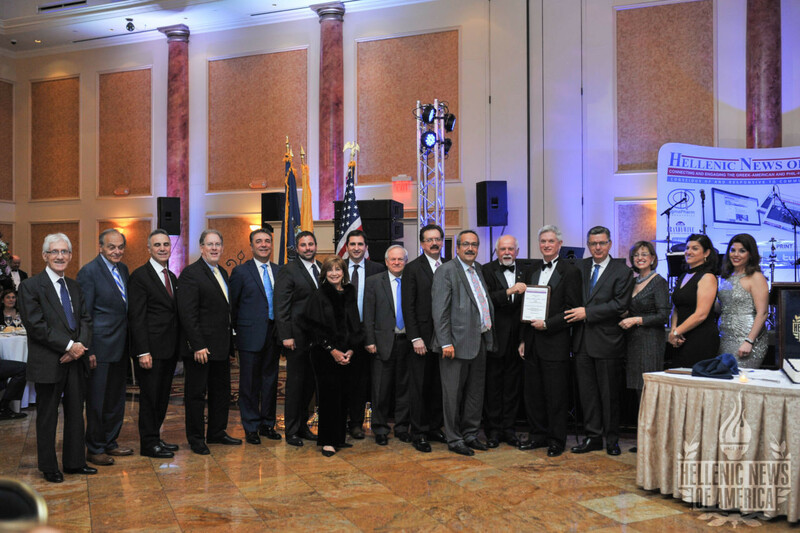 Tony Pantazopoulos, chairman of The Greater Philadelphia Committee of the IOCC credits the Hellenic News of America with keeping everyone in the loop, letting each person and organization know what worthwhile activities they are doing. 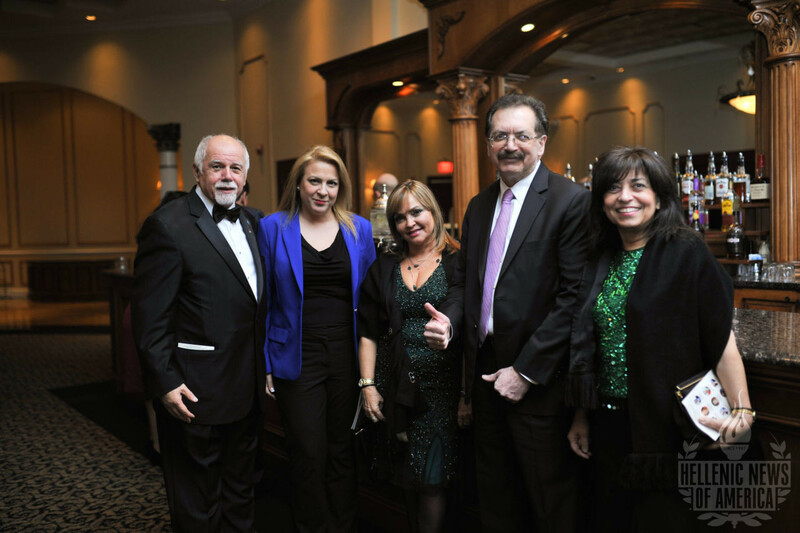 At a recent humanitarian fundraising event with the IOCC Greater Philadelphia Committee, they raised $52,700, leveraged seven times in matching funds, meaning in one night they generated $369,000 in humanitarian aid. It was an amazing accomplishment and something that is spread through the community because of the Hellenic News of America. Dorie Klissas, vice president of marketing and communications for Mt. Sinai Health System in New York, says it’s important to continue reporting on the Greek culture and community in these modern times when people get further away from their heritage. [The newspaper] is kind of the force that keeps us all together and then you get reminded how important it is to be part of your community,” she says. Larry Kaliamouris, owner of Maritsa’s Main Street Café in Maple Shade, New Jersey, says Greek Americans wouldn’t know anything about their heritage without newspapers like the Hellenic News of America. Demi Kollias, owner of Claymont Steak Shops in Delaware, is a former assistant editor at Hellenic News of America. Kollias, who came to the United States from Greece, describes her homeland as “the alpha and the omega all through my life.” The newspaper helps keep her thoughts on Greece. “We admire what Paul [Kotrotsios] did throughout the years because he did really sacrifice personally and he put a lot of effort in order to be able to hold on through all these years and support the Greek community,” she says. Barbara Ann Zippi, former Press Club president, with her husband. Four members of the Delco Press Club attended the gala. Barbara Ann Zippi, former Press Club president, offered her own perspective on ethnic newspapers like Hellenic News of America and their influence in the community. Nancy Papaioannou, president of Atlantic Bank, NYCB pointed to the newspaper’s ability to sound a positive note, connecting businesses and promoting commerce. 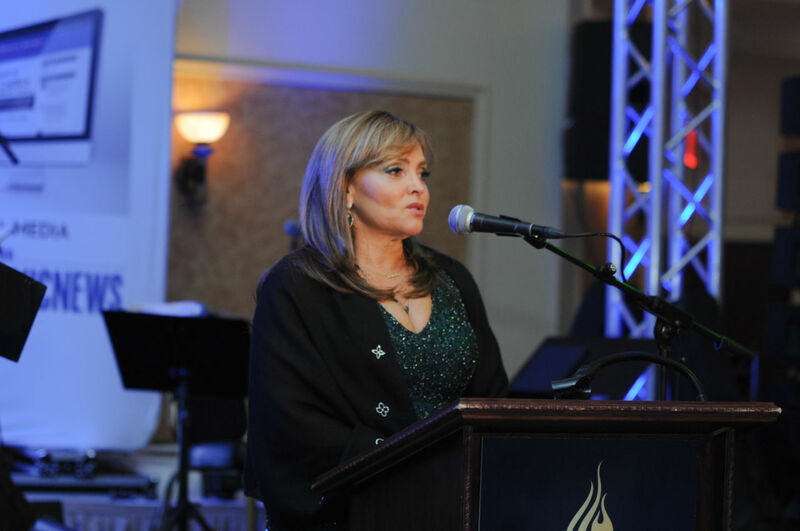 Papaioannou received the Women in Leadership Award at the gala as the first woman to lead Atlantic Bank. “For me as a banker at the oldest Greek American bank in the United States I really admire his efforts and that the newspaper tried to positively help Greece during today’s difficult times,” she says. 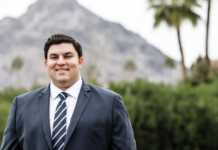 Jimmy Athanasopoulos, head of Social Responsibility for the Libra Group, offered his congratulations to Paul Kotrotsios and to the Hellenic News of America. The Libra Group is a privately-owned international business group owned by the Logothetis family with subsidiaries in aviation, energy, finance and diversified, hospitality, real estate, and shipping. The Libra Group was a patron of the anniversary gala. Athanasopoulos talked about the Libra Group’s role at the gala. “We are not here to promote ourselves,” he emphasized. “We are here to promote the importance of Hellenism and the work of the Hellenic News of America,” he says. 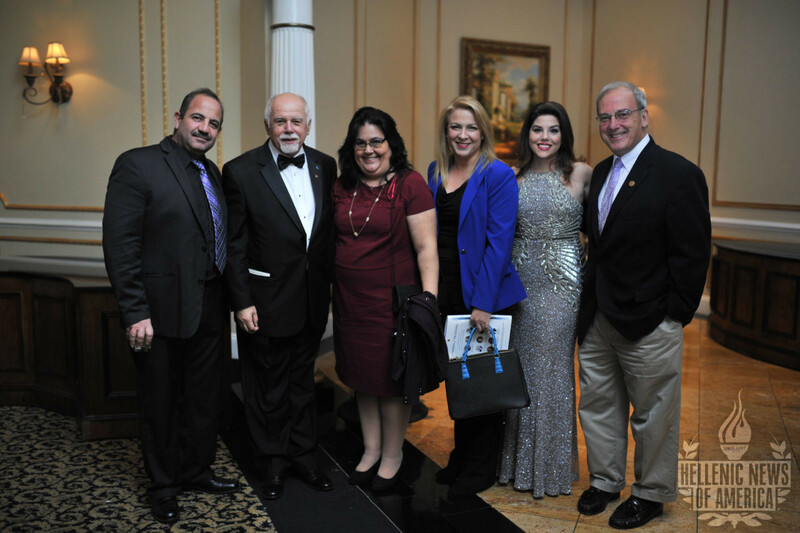 The 30-year anniversary of a Greek newspaper is a blessing, says Dr. Spiro Spireas, owner of Sigmapharm Laboratories and chairman of the Nov. 12 gala. Dr. Emily Spireas, co-chairman of the gala, says the anniversary event honors Paul Kotrotsios for the newspaper but she thinks it goes beyond that. A big thank you to JFS Photography!